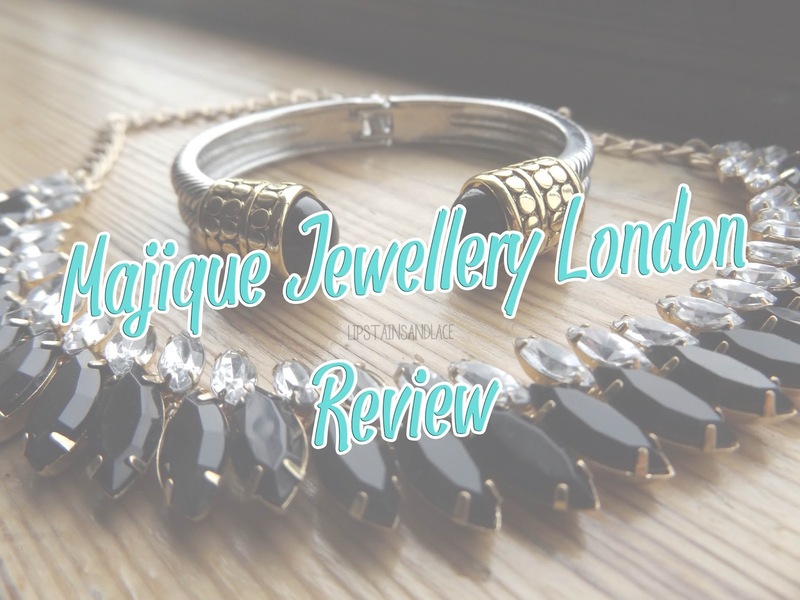 Hey everyone, welcome back to my blog and review 2 of some stunning pieces from Majique Jewellery London. This weeks blog post is on this stunning black, gold and silver necklace and this black, gold and silver open cuff bangle that I've been wearing this week. The chain itself on the necklace is a gold colour and the necklace contains crystal and black stone pieces. I was shocked at how lightweight the necklace actually is, it's a big enough necklace so I was expecting it to be super heavy but I was shocked when I realised it's so lightweight! I love how you can wear this with with almost anything because it has gold, silver and black. The necklace is also nice and sparkly so it's perfect to glam and glitz up any outfit! You can buy it from Majique Jewellery London here. The second piece is the silver, gold and black open cuff bangle. This piece is very similar to the piece that I mentioned in my blog post last week here. The only difference is the gold parts are a different shape and of course this one has a black stone instead of a turquoise one. Again this bangle is very good quality and the hinge is very strong and sturdy. It's also very comfortable on the wrist and is a great piece to have in your jewellery box in my opinion! Both pieces mentioned can be purchased from Majique Jewellery London, visit their website here. Thanks for reading and I'll be back soon with more reviews on some more gorgeous jewellery pieces from Majique Jewellery London.